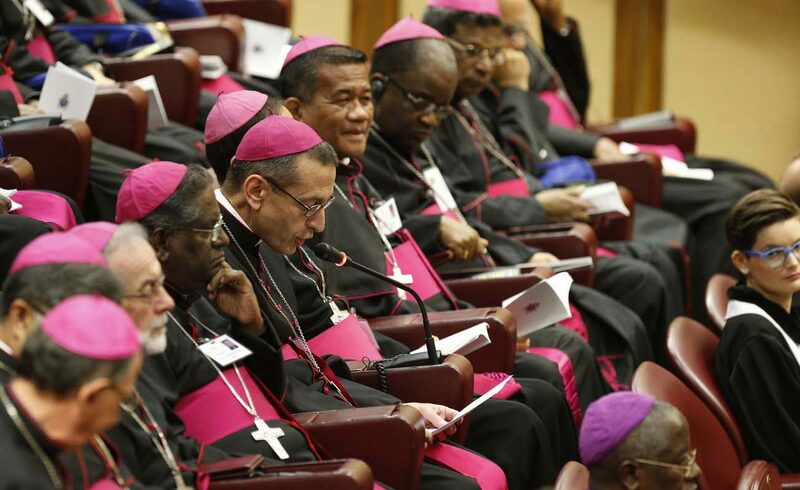 VATICAN CITY (CNS) — The point of the Synod of Bishops on young people is not primarily to produce a document, but instead is to learn from Christ how to “bring God’s mercy into the world,” Bishop Frank J. Caggiano of Bridgeport, Connecticut, said in a homily at the synod. “We have come to sit at the feet of the ‘Divine Physician’ and learn from him how to become physicians of broken hearts, among youth, young adults, and all God’s people,” the bishop said Oct. 18. “It is a question that no disciple of the Lord can avoid asking, since it was to heal broken hearts that our savior came among us,” he said. The young physician, Luke, was among the many doctors who sought to “remedy the brokenness of life” with their own skills and tools. But he learned that there was a better way to heal after the Holy Spirit inspired him: He unlocked the power of divine mercy, the bishop said. God’s mercy offered through the life and death of Jesus healed “hearts burdened by the frailty of disease and old age, hearts that struggle with doubts and fears, hearts that question whether I am either lovable or will ever be loved by anyone,” he said. St. Luke also “gave voice to the poor, the Samaritan, the prodigal son and the women forgotten by society” in a world that had grown blind to the needs of the helpless, he said. “His Gospel compels us to walk into the shadows of our modern world and become channels of Christ’s mercy for those whom the world has left behind,” Bishop Caggiano said.